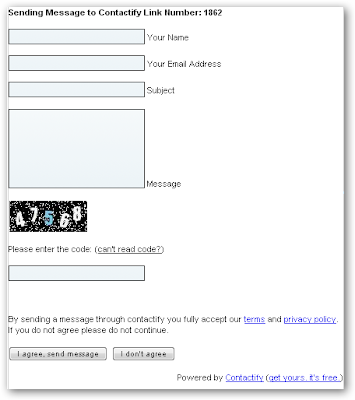 Contactify started out by letting you replace your email address with a URL to a contact form. This was a little awkward so they have now released a widget that lets you post the contact form directly on your website, blog, or social networking profile. To sign up, you simply enter your email address and password, and you'll get a Contactify account where you can personalize your contact form settings. The URL is most useful on forums or other public sites where you'd rather not reveal your email address, but the widget makes Contactify an attractive choice for webmasters looking for an easy, plug-and-play contact form.